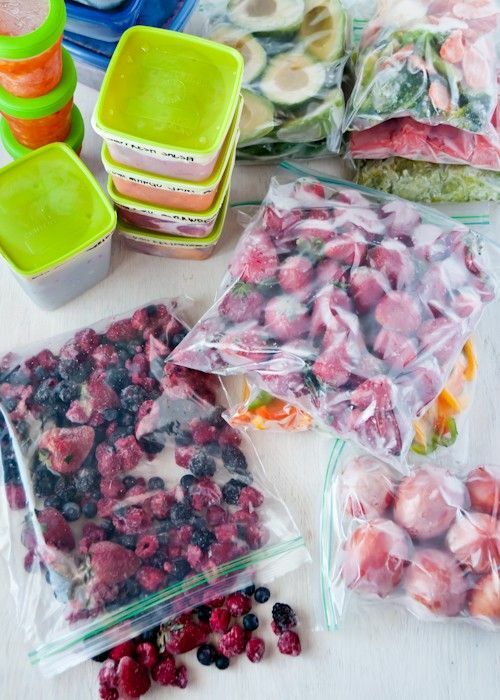 Long live the frozen fruit and vegetables! In the heart of winter, fresh produce is limited—or expensive-, which forces many of us to turn to canned or frozen fruit and vegetables. My preference goes to frozen products because no salt or sugar is added during their manufacturing process. Frozen foods are processed immediately after picking, which minimizes the loss of nutrients. The freezing process itself also helps to preserve them. They are washed, bleached, often cut (practical! ), then brought quickly to low temperature. In addition, I can buy locally grown frozen produce. Affordably priced, they provide color, freshness, quality and variety to our meals.